If you’re looking for a delightfully cinematic Victorian steampunk novel for middle-graders, look no further than Peter Bunzl’s Cogheart. At the center of Cogheart is Lily Hartman, a 13-year-old who dreams of adventure but is instead stuck at a strict boarding school. When Lily’s father — a famous inventor — goes missing during a routine zeppelin flight, Lily is pulled from school and placed under the care of her father’s not-so-trustworthy housekeeper. Lily knows there’s more to the story than she’s being told. With the help of a clockmaker’s apprentice and a mechanical fox, Lily finds herself in the middle of an adventure bigger than even she could ever imagine. 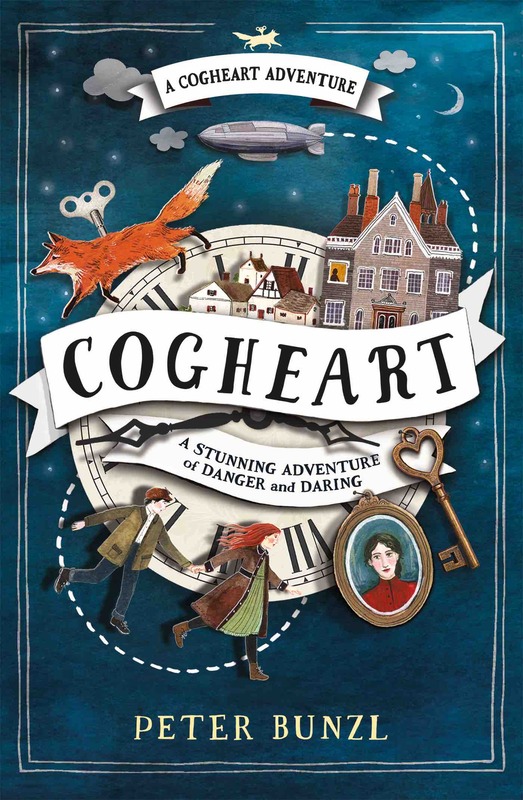 Just like the penny dreadfuls Lily loves to read, Cogheart is an imaginative read full of sly villains, friendly wind-up mechanicals and airship piracy. Bunzl’s writing brings you straight into Lily’s world, almost as if everything is playing out on a huge screen before you. I will say that I did figure out a key plot element fairly early on, but it didn’t keep me from reading or enjoying the story as it played out. While Cogheart is a standalone novel, it is also the first of three books in the Cogheart Adventure series, which was first published in the UK — fingers crossed Jolly Fish Press has plans to publish the other two books. It’s a great middle-grade option.